My poor boy. His sisters get new stuff from Mom all the time but the last time we went somewhere, he had to pack his stuff in a reusable grocery bag! If you have a boy, you will know that they just don't seem to care about that kind of stuff. At all. They care a lot if their sisters get more bacon than them on their breakfast plate, but not so much about sisters getting new handmade clothes or duffle bags. He needed this one though- Our lake trip is only a week away and now he can pack his bathing suits in a duffle bag instead of a grocery tote! The fabric is AnnKelle's new funbots in royal. It is so so so cute and fun. 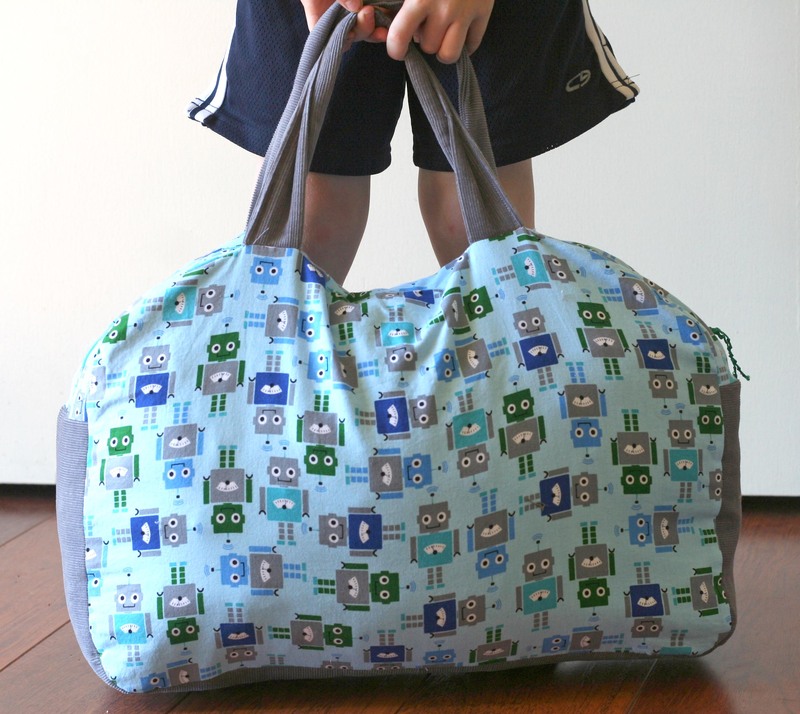 Kelle's fabric makes everything adorable and the kids are always so happy. I swear, all the favorite kid things are made from AnnKelle fabric. AND- Cal loves the new bag! 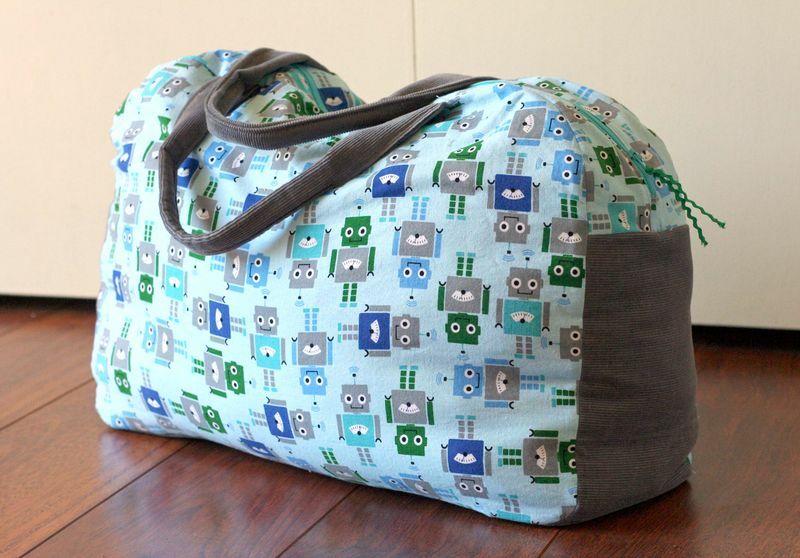 You are so right about Kelle fabrics – superb, love the bag, have a great trip.